K-9 Officer Spike along with his handler, Officer Callahan pose on the steps of the Philadelphia Police Department Headquarters, June 8, 2016. Spike, along with the entire police dog force in Philadelphia has received bulletproof and puncture-proof vests though a $22,000 contribution from Joanne Berwind. For the first time in at least 15 years, Philadelphia's entire unit of K-9 patrol dogs will now be looking sharp – and safe – thanks to the donation of 23 sets of body armor by a concerned city resident. Joanne Berwind, of Philadelphia, who operates an animal rescue in Newtown Square, contributed $22,000 out of pocket to outfit the K-9 units with new, state-of-the-art body armor at a cost of $900-$1,000 per dog, officials said. "I love these dogs, they are like family," Berwind said during an event Wednesday to unveil the donation. Captain Mark Everitt, commanding officer of the city's K-9 unit, said four other dogs with the unit are trained to find cadavers or bombs, but do not go on patrol. According to Berwind, she had recently seen a story about police dogs in Virginia who have died while in service to the community. Hearing about the animals hit her hard, she said, and made her think of Philadelphia's police dogs. Berwind said she decided to do what she could to protect the department's furriest officers. "The K-9s are the unsung heroes. They are true first responders... I wanted to do what I could," she said. "They depend on us for their care, protection and survival... They deserve the best." "It's all about passion and compassion," she added. "Our Philly police dogs deserve our support." Berwind worked with the Maureen Rush, president of the Philadelphia Police Foundation, to obtain the safety equipment for the police dogs. 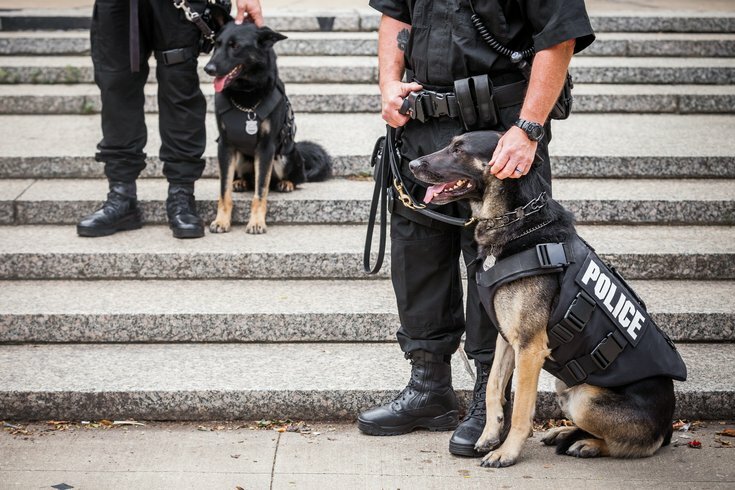 In the past, Philadelphia police have been offered a grant for about seven sets of body armor for the K-9 units, but since every dog is custom-fitted, 23 vests were necessary to protect all the patrol dogs, Rush said. "It's just like a police officer is protected," said Rush. "We need to make sure they have equal protection." In fact, Everitt said, the body armor for the dogs is identical to the bulletproof vests worn by their human officers. The "flak jacket-like" sets of body armor for police dogs only last about five years of daily use, he said. 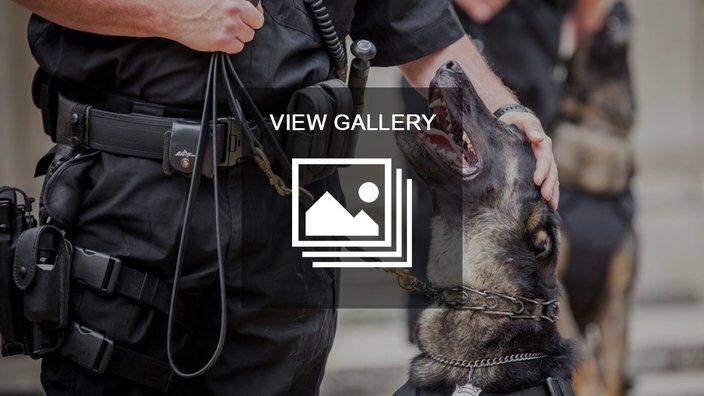 It's been more than a decade since the K-9 dogs had any type of protection at all. "This will have a significant level of protection that they have not had for 15 years," he said. "If we don't know if a defendant is armed or not, this will offer that level of protection." Commissioner Richard Ross thanked Berwind for her generosity, saying the K-9 units put their lives on the line every day to protect residents. "These canines are brave and loyal and, as you can imagine, they would give their lives in service to this city," said the commissioner. Rush said she hopes Berwind's compassion spurs others to support the police through the Philadelphia Police Foundation. To learn more about the group or how to help them support the city's police, click here.